It seems like a fight with a clear winner. First we have Superman, an alien receiving his power from our yellow sun, someone who can stop bullets with his eyes, travel through time, and has basically had every superpower imaginable - stopping shy of spinning webs. Then we have Batman, a rich ninja with some impressive gadgets, cars, and detective skills. Whenever people discuss the upcoming Man of Steel sequel, Batman v Superman: Dawn of Justice, the first thing anyone has to say is "well, duh Superman would win. He would just rip Batman in half like a phonebook." Though his sheer strength may not match up to Superman's, Batman has the wits and tools to take down The Man of Steel and he's done it before. For the uninitiated into DC Comics, kryptonite is a radioactive material from Superman's home planet of Krypton. Whenever he or other Kryptonians are around the traditionally green ore their strength and powers are lost. In the Batman comic Hush, Poison Ivy takes control of Superman and commands him to kill Batman. With a ring made of kryptonite, Batman is able to shut down Supes. 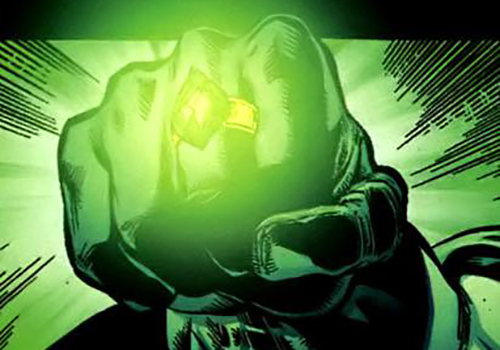 Kryptonite rings have been used by Lex Luthor and Superman himself when fighting other Kryptonians and Batman's ring was given to him directly from Superman in the need that his near omnipotent power needed to be kept in check. Superman's willingness to give up his power in a time of crisis goes to show his true character and goodness inside, while Batman believes he's not truly good inside and that even goes into Batman's victories over Superman. In the same comic book, Superman still can't totally shake that mind control and Batman isn't afraid to dance a little close to the line of what's right and wrong. The fight previously described is used as a distraction so Catwoman can kidnap Lois Lane, Superman's love interest. The Caped Crusader's plan is to have Lois Lane thrown to her death right in view of Superman in hopes that his desire to save her will be stronger than the mind control. Lucky for both of them it worked, but it was definitely evidence that Batman isn't afraid to play dirty to win. 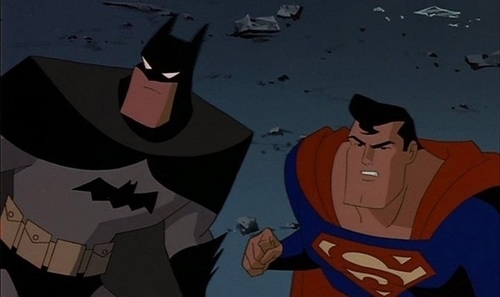 Another instance of Lois Lane being used to beat Superman, though on a much more psychological level, is in a crossover episode between the beloved "Batman: The Animated Series," and "Superman: The Animated Series." Bruce Wayne begins dating Lois Lane in a very passive aggressive way of getting under Clark Kent's skin. 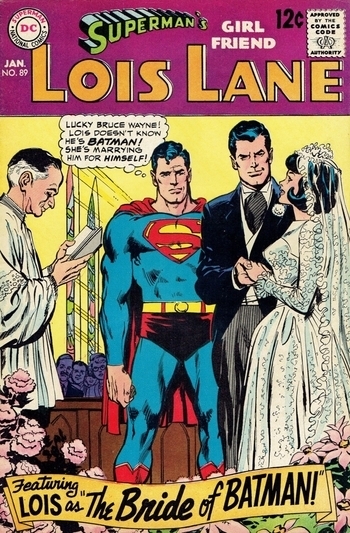 And in a much older comic Batman even marries Lois Lane! 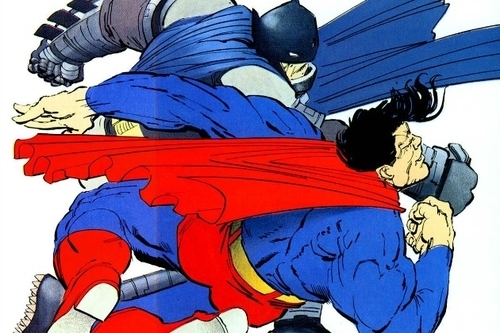 Probably the most famous, and my personal favorite, defeat of The Man of Steel at the hands of The Dark Knight, comes from the graphic novel The Dark Knight Returns. The story was written by Frank Miller who is most known for creating 300 and Sin City, and has one of the grittier spins on the universe. After the government sends Superman to put an end to Batman's crime fighting in his older years, Batman prepares to fight back with a suit of armor strong enough to hold his own against an alien. The fight can be seen not just in the comic but in an animated retelling from a few years ago. And though the fight ends with Batman getting a little help from the Green Arrow launching some kryptonite and Batman faking his own death, Superman knows that Batman could've beaten him if it really came down to it. Luckily the upcoming movie seems to be taking a lot of cues from this story, specifically in terms of the armor. Who do you think will come out on top in the new movie? Are you on Team Batman or Team Superman or Team Everybody-Get-Along? Comment below and speak your mind!